The Fifth Element came on TV the other day, and it really got me thinking about mise-en-scène versus characterization. It’s one of my absolute favorite movies, and is an exemplar of sci-fi in cinema without being too derivative of other works. The grittiness of futuristic New York, the contrast between earthtones and bright colors in the costume and set design, and the excellent choreography of the action scenes come together to make a great movie. 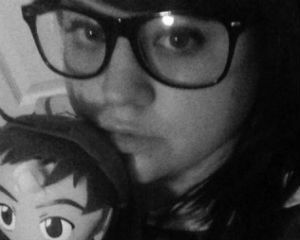 What’s a movie though without characters that entertain, blossom with personality, and can be empathized with? Would The Fifth Element be as entertaining without the bluster of Bruce Willis, the innocent sexuality of Milla Jovovich, or the ridiculous Chris Tucker as Ruby Rhod? Can well-crafted artwork, concept, and background come together to make a good production regardless of the characters within it? Those are the questions that Citizens of Earth brought to mind. The game puts you in the shoes of the newly elected Vice-President of Earth, on vacation after his arduous first day in office. Your dear mother wakes you up and after grabbing your brother, you're on your way. There are protesters, rival politicians, sentient coffee beans, and loads of opposition out there and it’s up to you to… do something. There’s a story in there somewhere, but it kind of gets lost in the many, many, sidequests in the game. There are tons of characters to add to your entourage, and each of them typically requires a short-to-medium length quest to convince them to join your party. Each recruit has a specialty: your brother as a delivery man allows you to order items from anywhere, the homeless man can dig in places that would disgust others, and the mascot can change the difficulty level on the fly, and so on. What no one tells you in the game (or at least no one I talked to) is that to “collect evidence” you have to seek out and fight three crazed Java Beans which drop the “evidence” once they’re defeated. These obscure requirements plague the game, and almost every recruit and story mission has these same objectives you have to complete to progress. After a while I felt like I wasn’t really headed anywhere at all, and just moving for the sake of moving. That brings me to the biggest problem I had with Citizens. I didn’t care about any of the characters. I don’t mean I hated them, I mean I had no feelings whatsoever about them. They’re vapid and offer nothing more than superficial representation of their various occupations. The world itself is the same way. Lame puns abound, and after the first few chuckles it starts to wear. In just the first chapter of the game, I’d heard enough about “Moonbucks” and “Java Junkies” to never want to drink coffee again. It tries too hard to capture the modern setting and hip weirdness of EarthBound without ever trying to develop its own strong identity. The battle system is one of the worst I’ve seen in an RPG, despite having played numerous titles with similar mechanics. It’s based around “energy.” Every action except for running from battle or item usage requires you to pay close attention to the amount of energy you have. 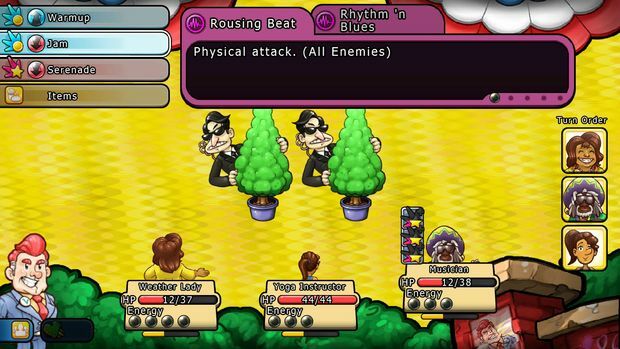 Some attacks have characters gaining energy, and some require energy to utilize. This makes battles incredibly slow as you’re forced into a constant cycle of using your weak attacks to build energy so that you can use the more powerful attacks that cost energy. In practice it can be like auto-battle, and although there are items and equipment that help with energy restoration or reduce its cost, it’s a tedious process and I really disliked it. Perhaps these long, drawn-out battles could be forgivable, but there are always swarms of enemies in each dungeon-type map, and there’s a very small invincibility window, so if you’ve just defeated an enemy and one is right near you, guess what? You’re forced into battle. Again. There’s nothing you can do to stop it, and this becomes endlessly frustrating after a while. The leveling system is also unbalanced and I found that enemies that I was getting destroyed by were chump change after only gaining one or two levels. Then, upon entering a new area I was nothing but a weakling all over again. The difficulty can be raised and lowered at will through a party member you can recruit near the start of the game, but I feel like I should be able to play the game on one difficulty the whole way through and not have to worry about changing it due to the lack of developer efforts to balance it. It’s important to note that if you’re at a high enough level, you can send your team to “charge” at an enemy and defeat it automatically, but if you’re in a new area, that option is rarely available. It’s unfortunate that Citizens of Earth fails so badly in the character and story department, because superficially I love it. The art style is wonderful and there’s so much potential. 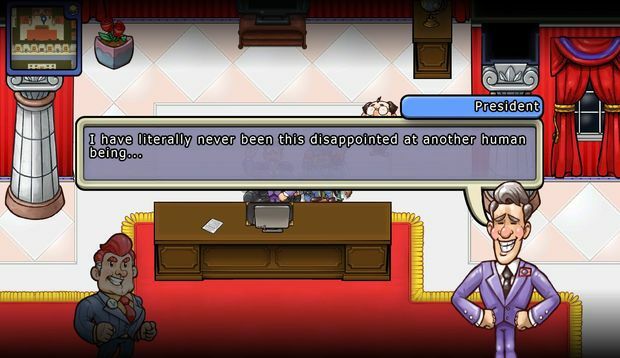 It’s here that the developers really lived up to the EarthBound name. 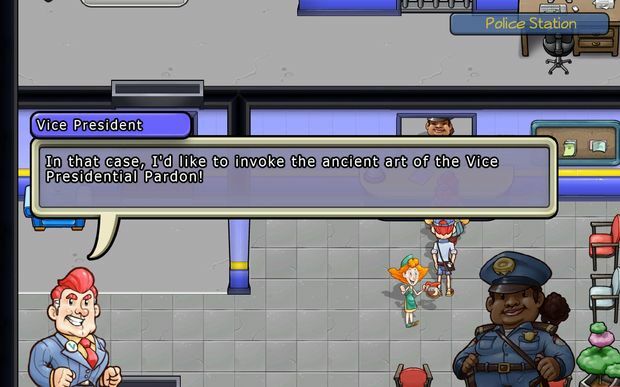 The character design is excellent, comprised of beautiful sprites, and one of the things that kept me playing was wanting to see new NPCs and enemies and what they’d look like. The world itself has a lot of style as well, and its design meshes with the characters quite well. It would have been great to have played a game with a script of similar quality to match this bright, fun setting. Other small bugs and inconsistencies abound. The default keyboard controls are unintuitive, and the triggers between maps can be a bit too large. This usually results in accidentally leaving buildings because you get too close to the door, while other doors require you to use the interaction key to activate them. 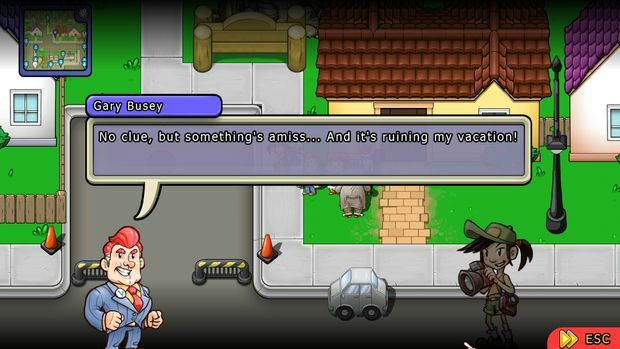 Citizens of Earth is a mess, and the quality of its various components vary widely. However, there’s still a somewhat decent game beneath the frustrating amalgam of boring, grinding gameplay and bizarre design decisions. There's a lot of potential behind the scenes that could be reworked into a much more satisfying experience. 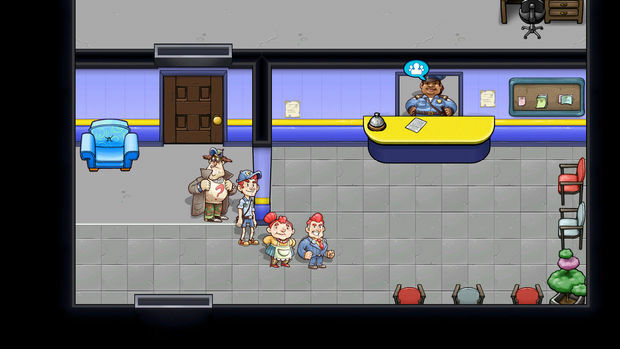 As-is, Citizens of Earth is at best a semi-mediocre journey with lots of quests to complete. Alas, it seems that while it tried its best to do so, it just couldn't quite grasp EarthBound's true form.